Article by Gary Furlong ©. For the past few years, an important resource for independently creating audiobooks has been the Amazon-owned ACX. To date over 80,000 audiobooks have been produced via ACX. Previously only available to residents of the USA and UK, the platform has now made its way to Ireland. 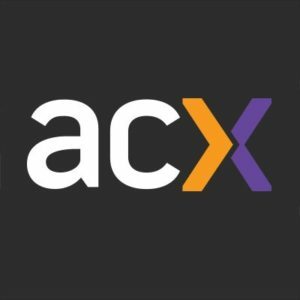 So, what is ACX? It is a fantastic resource to get your book from print to Audible.com/.co.uk! What does this mean for Irish authors? In the past, while it was possible to produce an audiobook in Ireland, it was usually the domain of publishers. Irish authors, specifically independent authors, had little to no access to a large pool of narrators and producers who could convert their work to audio. With ACX coming to Ireland, authors now have access to thousands of narrators and audio engineers who specialise in audiobook production. That sounds great but how do I use it? What do I do once I’ve found my narrator? When you have found a narrator whose voice suits your project, you are ready to make an offer. This can be done through the auditioning process (select the audition you like best and make that narrator an offer) OR if you have listened to some samples and that is all you need to hear then you can make a direct offer to that narrator. If your narrator accepts the offer and the terms you have set (Start and end dates for receiving finished audio, payment details etc ) you are almost there. The next step will be to have the narrator upload the “First Fifteen Minutes” of your book. This step is important as once you have approved the first fifteen, then the contract is set and binding. Before the first fifteen is approved both author and narrator can back out of the project. The first fifteen is also your chance to give direction to the narrator. If you think they are speaking too fast or slow, or a character voice isn’t quite right, now is the time to let the narrator know this. Now, just sit back, relax and wait for your narrator to submit the full proofed, edited, mastered and retail ready audio to you. How do I get paid!? And how do I pay my narrator? When your book is complete and you are happy with the narration and the sound quality you will then have to pay your narrator…or not. Confused? Let me explain. “PFH” means Per Finished Hour. Currently the prices are still in dollars for project rates. You have posted up your book. It is 100,000 words long. ACX will tell you that 1 hour of audio = roughly 9300 words. So your book is going to be roughly 10 hours long. You have a budget of $1500 to pay your narrator. You can now set the rate for your book – $1500/10 hours of audio = $150 PFH. “PFH” means Per Finished Hour. This means that you pay the narrator for the number of hours in the book as opposed to how many hours they spend in the studio. In this case you will pay your narrator $150 for every hour of finished (or retail ready) audio they send you. If your book is 10 hours then you pay $1500. Looking at the different tiers above you now know that your book falls into the $100 – $200 bracket. When your book is complete you will work with the narrator on a method of payment. ACX will not facilitate payments for these projects. You have a limited budget for your book. 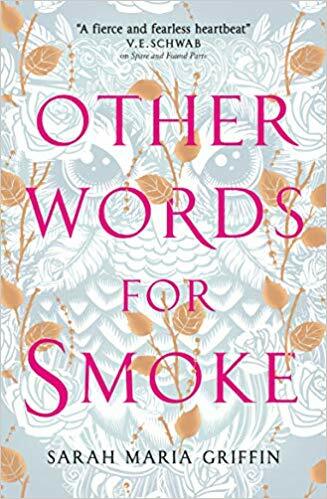 You feel that you really need to spend the bulk of your money on the cover and marketing leaving you with little or no money to pay a narrator. You can then set your rate as a Royalty Share or RS. If any of you have published with Amazon before you may be familiar with the royalty structure. In a nutshell: Amazon takes 60% of the sale price. You get 40%. Royalty Share does exactly what it says on the tin. You split that 40% between you and the narrator. You will pay no money up front and share the earnings with the narrator. ACX is directly linked to Audible.com and will manage the royalty payments to both the author and narrator. Both methods of payment have their advantages and disadvantages. I strongly recommend you read this article on the ins and outs of Royalty Share and PFH payment options. Judge a book by its cover, because we do. A great cover inspires confidence that the author is dedicated to their book and willing to invest in a quality product. Most top tier narrators’ base rate is $300 PFH. This may seem like a lot but the narrator will have to outsource things like proofing, editing and mastering. You will, however, receive a superior product for this price. Do not list your book at a higher rate to attract better narrators and then ask for a royalty share. Do not micro manage. Trust your narrator, you selected them for a reason. They know what they are doing. Micro managing will slow the process down considerably. I hope this article will prove useful to you all. Now get out there and make some audiobooks! Gary is an Irish audiobook narrator from County Wexford. 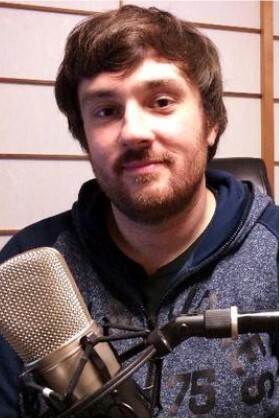 He has been narrating books for 2 years and has worked with major publishers such as Tantor, Audible Studios, HarperCollins, and Harlequin Audio. He specialises in accent, dialect and character creation. To learn more please visit www.garyfurlongvo.com or contact Gary at gary.f.furlong@gmail.com. Gary is an Irish audiobook narrator from County Wexford. He has been narrating books for 2 years and has worked with major publishers such as Tantor, Audible Studios, HarperCollins, and Harlequin Audio. He specialises in accent, dialect and character creation. To learn more please visit www.garyfurlongvo.com or contact Gary at gary.f.furlong@gmail.com.